When the summer shines throughout the season with joy and pride, I have just a humble desire: a rainy afternoon. Wait, wait, do not misunderstand me. I love long sunny days, a refreshing shadow under the lime trees and my toes curling with pleasure into the soft sea sand. For all the year I long for naked legs in the night breeze, curls lightened by the sun and the salty water and the warm wheat smell sliding into the open car windows. I even stand patiently the heat, after all it’s summer, and it will last just for a few months, so you have to enjoy it to the fullest. But once in a while I yearn for a rainy afternoon. As a matter of fact the rain would refresh the air, clean the skies and wash down the dust from the wood, leaving a sparkling scenery and brighter colours after the storm, not to mention a long sleep night, covered for once with the cotton sheet. But something else happens in my mind. First of all, I will enjoy summer even more after the rain, well aware of the transience of the good sunny weather. Then, I will suddenly realize that autumn is not so far, so it’s time to make plans not to be catched by surprise by the new season. Rainy afternoons are meant to give you time to reflect, to enjoy the gorgeous smell in a pinewood, to leaf through a magazine and put a bookmark on a new outfit for the autumn. 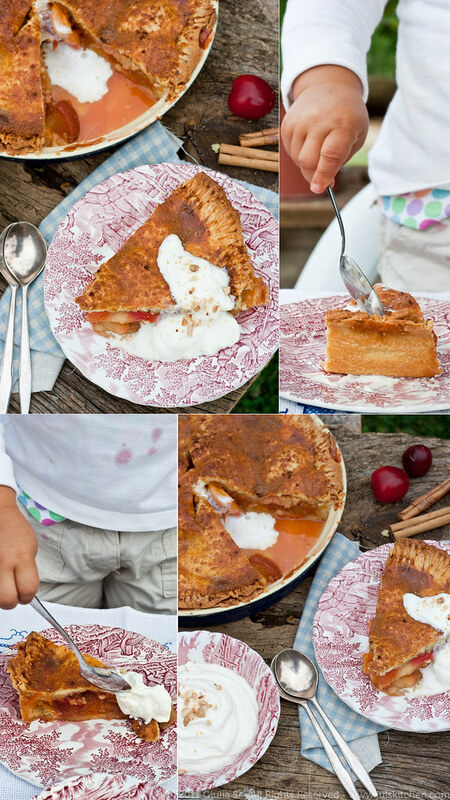 Rainy afternoons are meant to bake that pie you were dreaming about for weeks! Last week, all the universe seemed to work to lead me to the same direction: a fruit pie. 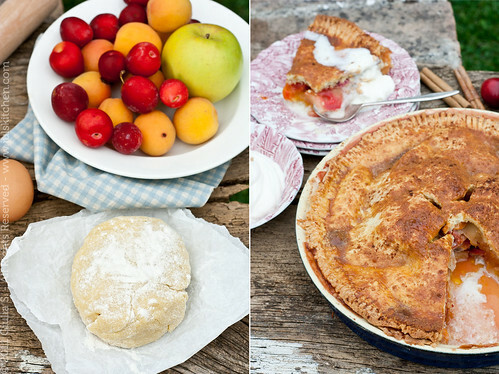 A sudden and intense thunderstorm, fresh air and a free afternoon in the kitchen, a bowl crammed of ripe summer fruit and Shauna from Gluten free girl and the chef throwing a pie party on July the 5th. It was my first time with fruit pie, but it won’t definitely be the last one: I’ve chosen a Jamie Oliver’s recipe to start with, and I loved every single moment of the pie making process, from the buttery old-fashioned sweet shortcrust pastry, dusted with a generous amount of ground cinnamon and golden caster sugar, to the bubbling filling of summer fruit, luscious and tempting. Recipe from Jamie at home. You can read it on Jamie’s website as well. Add the eggs and milk to the mixture and gently work it together till you have a ball of dough. Flour it lightly. Don’t work the pastry too much at this stage or it will become elastic and chewy, not crumbly and short. Flour your work surface and place the dough on top. Pat it into a flat round, flour it lightly, wrap it in clingfilm and put it into the fridge to rest for at least half an hour. 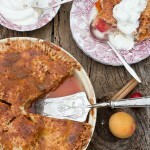 I loved this pie, old-fashioned and homely, something I would bake again and again, changing fruit and shortcrust. I’m not completely satisfied with the outer aspect, I fear next time I’ll have to wait those long two hours before slicing and serving it! Recipe adapted from Jamie at home. 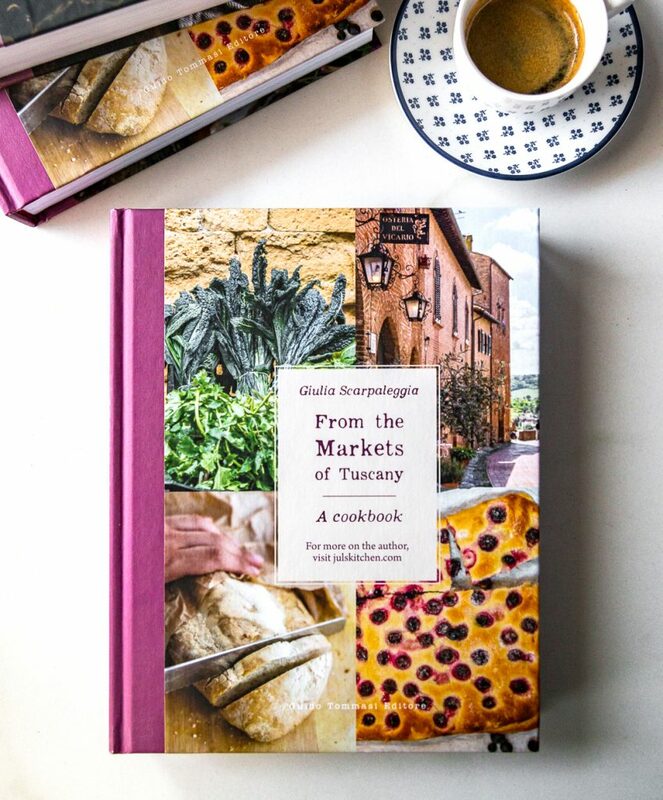 You can read the original recipe on Jamie’s website as well. First, make your pastry dough, wrap it in cling film and rest it in the fridge for at least half an hour. Put the butter and sugar into a saucepan and, when the butter has melted, add the apples. Slowly cook for 5 minutes with a lid on, then add the peaches, apricots and plums, stir and cook for 5 more minutes with the lid off. Meanwhile, remove your pastry from the fridge. Dust your work surface with flour, cut the pastry in half and, using a floured rolling pin, roll one of the pieces out until it’s just under 1cm thick. Butter a shallow 26 cm pie dish and line with the pastry, trimming off any excess round the edges using a sharp knife. 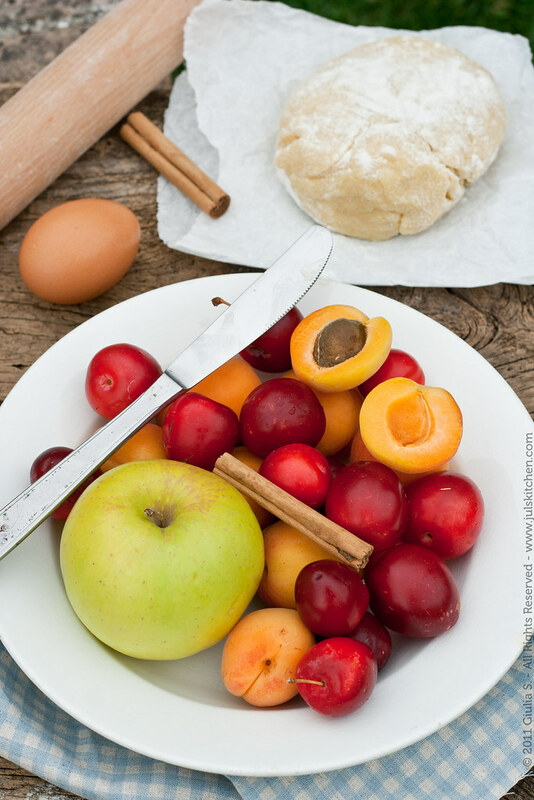 Tip the cooled fruit into a sieve, reserving all the juices, then put the fruit into the lined pie dish so you have a mound in the middle. Spoon over half the reserved juices. Brush the edge of the pastry with beaten egg. Roll out the second piece of pastry, just as you did the first, and lay it over the top of the pie. Trim the edges as before and crimp them together with your fingers. Brush the top of the pie with the rest of the beaten egg, sprinkle generously with sugar and the cinnamon, and make a couple of slashes in the top of the pastry. Place the pie on a baking tray and then put it directly on the bottom of the preheated oven for 55 to 60 minutes, until golden brown and crisp. 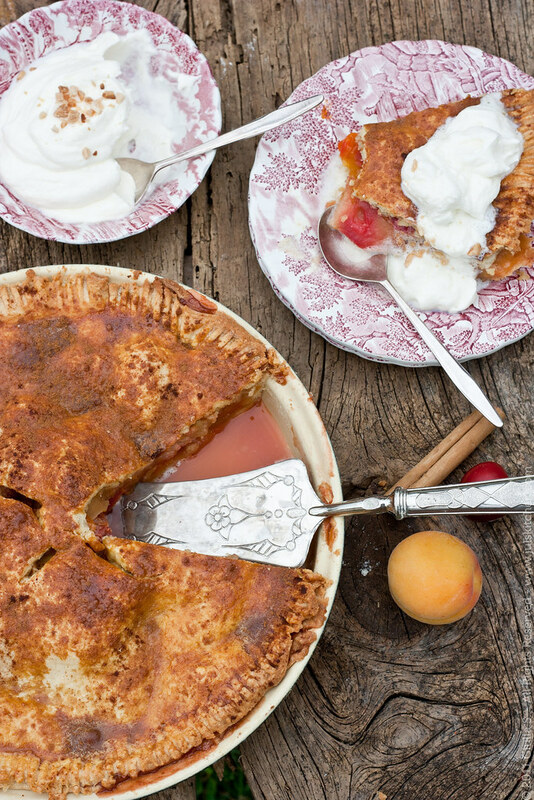 To serve, slice the pie into portions and serve with a generous dollop of half whipped cream. I have the book “Jamie at home” and I remember I marked this recipe to make it. But there are so many other recipes I want to make! 🙂 Great photos Juls, I would like a slice definitely! 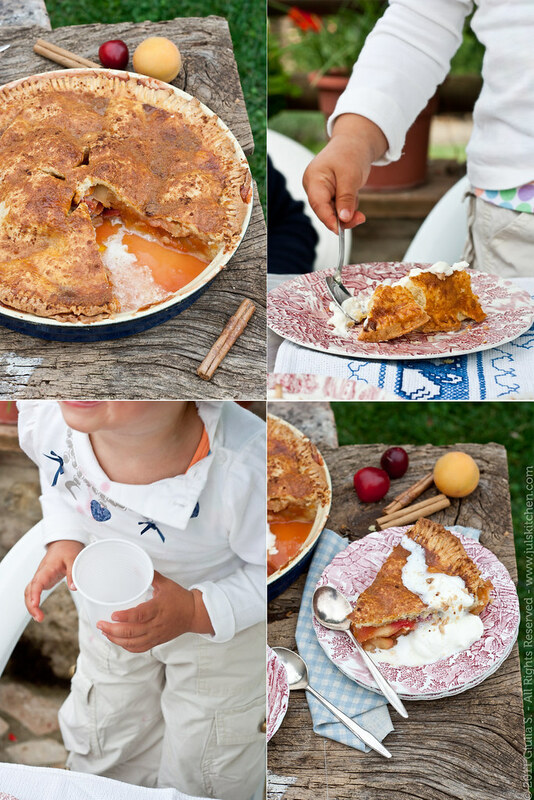 Lovely pics here and a delicious pie recipe. The pie party sounds like a lot of fun. Great post. Beautiful! I love the variety of fruit, it looks like it tastes amazing. Those rainy summer afternoon’s really are a wonderful and cooling break during the summer. Sometimes even a brief shower just helps to cool things off and I don’t mind it a bit. That looks like a fruit party on a plate! 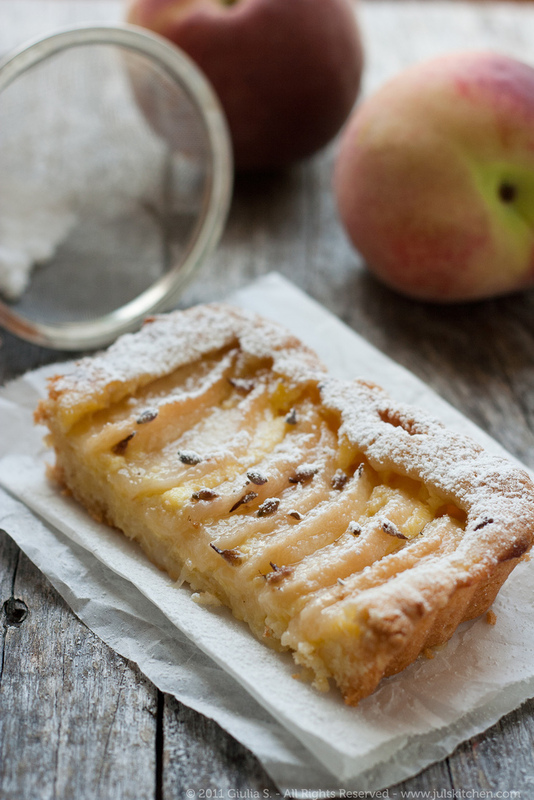 Love all the different kinds of fruit and your crust looks so nice and golden brown. This looks lovely. And not just the pie, but the plates! I’m glad you enjoyed your first pie party! It looks great, and perfect for the summer!